This book was recommended to me with the phrase “it is the best teen book I have read in three years” and to say I loved this book would be an understatement, in truth I devoured it. 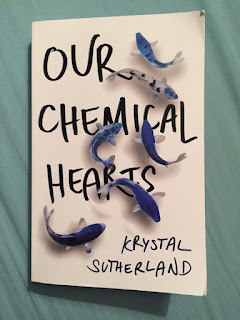 Laugh out loud hilarious, completely relatable and unexpectedly philosophical, ‘Our Chemical Hearts’ by Krystal Sutherland tells the story of first love with the right person at the wrong time. Written in the first person narrative from the male protagonist, Henry Page, it is clear from the first chapter that this is an unusual book. Writing from the point of view of the opposite gender is challenging even for experienced authors never mind a debut novelist but surprisingly Sutherland manages it effortlessly. Despite the fact that it is written in the first person narrative, for me it had more of an omniscient feel to it. I felt like I was watching two people find each other, fall in love and experience every teenage emotion imaginable without being soppy or predictable, which I found truly beautiful. While it is never confirmed where and when the story is set, as a reader we can assume it is set it modern day America through Sutherland’s choice of language along with references to texting, Facebook, Microsoft PowerPoint and Boohoo.com, which gives an aroma of mystery to the novel and helps deter it away from being a cliché YA book. Clearly influenced by John Green, her writing has a philosophical feel to it that is so enhanced by the themes and so cleverly woven in to the storyline that Sutherland has you thinking about love, life and the universe without even noticing. 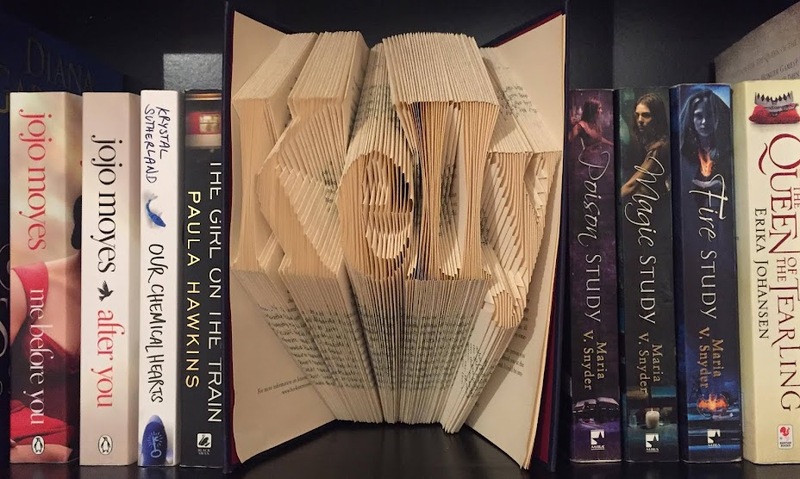 It fits with the plot like soul mates. Tackling your typical, and not so typical, teenage experiences, Our Chemical Hearts is one of them books you just have to read!